I love me some fresh grilled veggies in the summer time! Especially veggies like zucchini, squash and eggplant. They become so tender and delicious, you almost forget that you are eating a vegetable! 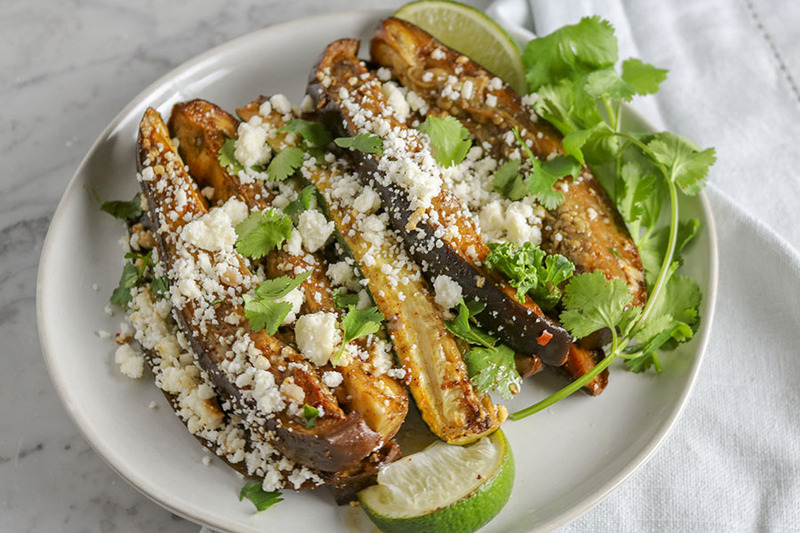 This recipe for Roasted Cuban Zucchini is PERFECT for summer – whether you love to grill or prefer the oven, you can make this incredibly flavorful dish in no time at all. Inspired by some traditional Cuban spices, this recipe is packed with flavor. Paprika, chili powder, and cumin are definitely the headlining stars – but don’t forget about Cotija cheese, cilantro or lime because they also play key roles! 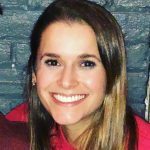 Confession: I didn’t realize how AMAZING Cotija cheese is! Where have I been?? I bought mine in a pre-packaged chunk and figured what the heck, I’ll crumble the whole thing up for storage / easy future use. Unfortunately, once I had a taste – it was too late. I literally started eating it by the spoonful. Next thing I knew half the container was gone – whoops. It’s just that good! So yeah, don’t buy Cotija cheese if you don’t want to overdose on cheese for the evening. This recipe pairs incredibly well with Cuban black beans and rice – I mean, duh. Cardboard pairs well with Cuban black beans and rice! Don’t know how to make Cuban black beans? Have no fear! They are actually super easy! 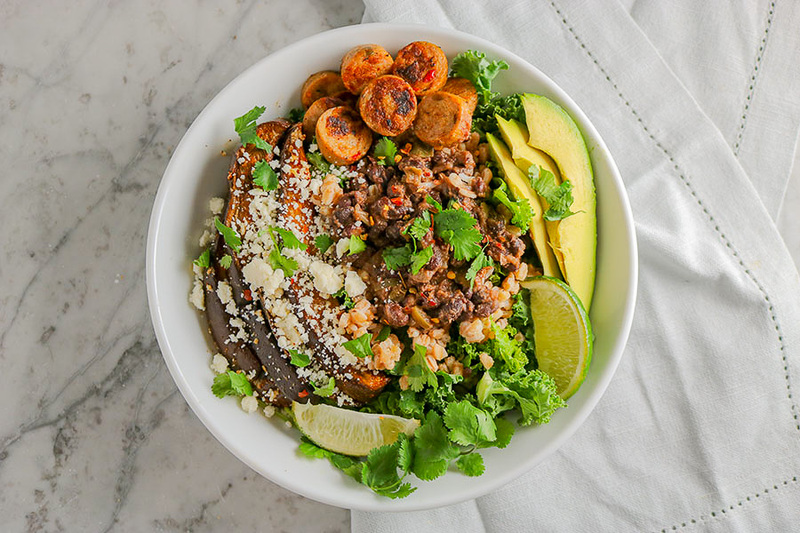 One of our closest family friends was kind enough to share her INCREDIBLE recipe for Cuban black beans and rice with me – so I love to make them homemade. But, if you go to the “International” aisle in your local supermarket, Goya carries cans of “Black Bean Soup” which taste pretty darn delicious if you ask me! They don’t quite compare to homemade, but they are SUPER EASY! Just heat and serve. Black beans and rice are one of my most favorite comfort foods! Warm and filling, packed with protein and flavor, I just love them so much! And this Roasted Cuban Zucchini is the perfect side to match. 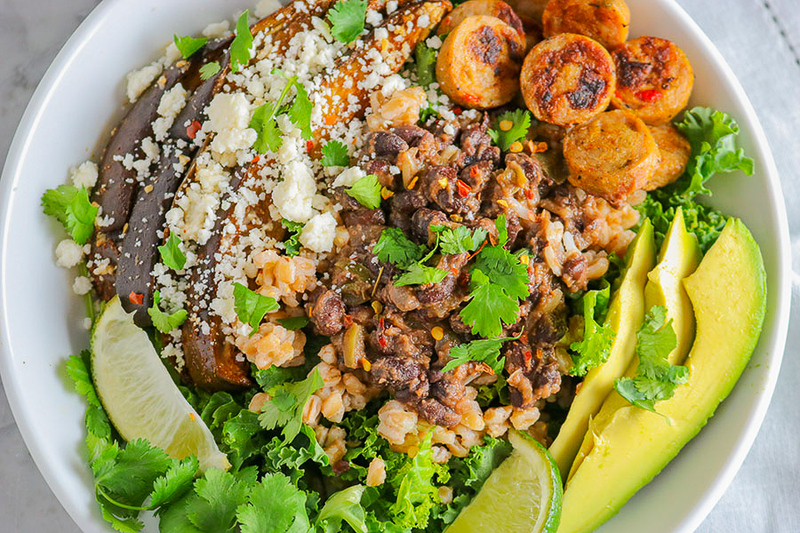 Just the other night I enjoyed my Roasted Cuban Zucchini and Cuban black beans over a bed of kale and farro – it was AMAZING! I added some chicken sausage on the side for extra protein (probably unnecessary because black beans are already protein-rich) and avocado, because – I just love avocado. YUM! I WILL be completely honest – because you know me, can’t keep my mouth shut – Cuban black beans over plain white rice simply cannot be beat. The combination is just incredible. BUT, this alternative option is also delicious and did make me feel like I was getting bit more, well-rounded meal. 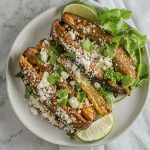 So whether you are enjoying a fresh summertime BBQ or a cold-rainy night in the house – this Roasted Cuban Zucchini is SURE to brighten up your day! 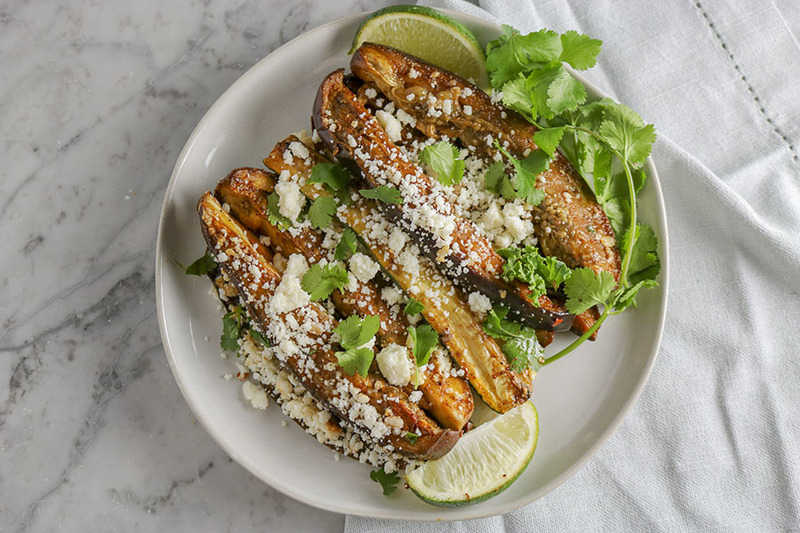 Inspired by traditional Cuban spices, this recipe for Roasted Cuban Zucchini is packed with flavor. Paprika, chili powder, and cumin are featured stars in the show - but don't forget about Cotija cheese, cilantro and lime because they also play key roles! Preheat oven (400F) or grill. Lay out zucchini / eggplant spears onto a lightly greased pan or baking sheet (try not to stack). In a small bowl, combine oil / butter, paprika, chili powder, cumin, salt, and pepper. Brush seasoning mixture over zucchini / squash / eggplant to coat (leave some mixture leftover) . Roast in oven at 400F for 20-25 minutes, or until squash has become tender (grill for 5-10 minutes). Remove from oven / grill and brush with remaining seasoning mixture. Top with crumbled cotija cheese, chopped cilantro, and a spritz of fresh lime! Storage: Refrigerate spears in an airtight container. To stay fresh longer, store spears separately from cheese, cilantro and lime.